In celebration of the XY - Ancient Origins TCG set, Pokemon Omega Ruby and Alpha Sapphire owners in North America will be able to get a free Shiny Rayquaza from the Nintendo Network. The Rayquaza will already have Dragon Ascent as part of it's moveset, allowing it to Mega Evolve in battle. To get this in your game, simply choose "Mystery Gift" and "Get via Internet" from the main menu and speak to the girl in any Pokémon Center to pick it up. 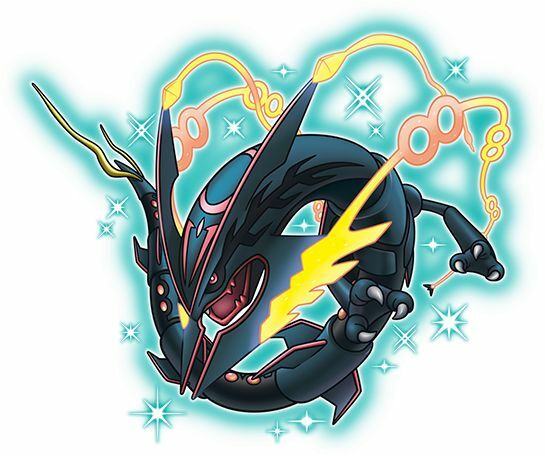 This Shiny Rayquaza is only available in ORAS (not X and Y) until September 14, 2015.